In this category you'll find a variety of espresso machines for domestic use, commercial or traditional coffee machines for professionals. Moreover, we can also supply milk chillers, coffee grinders, cups heaters and some other accessories. Further on, we invite you to choose the category you are interested in. Espresso machines There are 27 products. 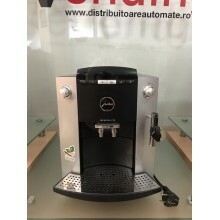 This stunning range of commercial coffee machines give coffee house quality drinks and are suited to environments such as small and medium size offices, coffee shops, showrooms, hotels, restaurants and not only. Dot them anywhere freestanding equipment is not required. Perfect for all coffee lovers. You may choose between new or used equipments, according to your current needs or budget. This stunning range of traditional coffee machines have been all the time the right choice for profesionals for giving the best results when it's all about coffee and are suited to environments such as coffee houses, cafeterias, coffee shops, restaurants and not only. You may choose between new or used equipments, according to your current needs or budget. 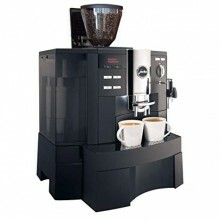 In this category you will find coffee machine parts, espresso machines spare parts and some accessories. Jura X7 espresso machine, perfect condition, complete, tested and fully refurbished. Version with cappuccino. No VAT included. Jura XS90 (One Touch Cappuccino) espresso machines, perfect condition, complete, tested and fully revised. No VAT included.